Renee Wilson at Tivoli Station delights her customers 10,000 times every semester. 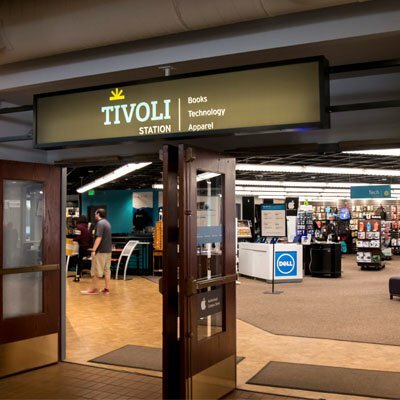 In January 2017, Renee Wilson at the Tivoli Station bookstore wanted a way to increase her rental returns and provide a better experience for her customers. She turned to Flamingo to create a rental reminder campaign. "Working with Flamingo has been a huge win for us," noted Michael Clarke, the bookstore director. Renee noted that students thanked her and her staff for providing the helpful rental reminders. "Thanks for sending that text; I forgot which books I rented from you" was a common comment. Now Renee and Flamingo work together to provide an even better experience for her customers; her students receive text-message rental reminders, beautiful branded emails, and phone messages. The best part? Flamingo handles all of the complexity; providing this amazing experience takes very little of Renee's time. In addition, students with questions can now text Tivoli Station. Texts are answered within minutes by their customer service team, without the need to take someone off the floor to answer a phone call. "It really has helped cut down the number of calls we receive," remarked Renee. Most of the inquiries are predictable, "When are you there?" "Do you buy back books too?" Not uncommonly, they provide an opportunity to go above and beyond for a customer. One student, a service member serving abroad and taking an online course, texted that he needed a few more days to return his book. His phone buzzed a few minutes later. "No problem." By focusing on enhancing customer service, every touchpoint with a customer becomes an opportunity to build a relationship that can turn into loyalty, increase sales, and give her customers another reason to choose Tivoli Station over an online retailer. Renee creates these positive touchpoints more than 10,000 times every semester. Going forward, Renee and Flamingo are working together to find ways to further enhance her customers' experience. Renee's store has always been a leader in customer experience. Aside from running a store with a unique model that serves three schools, her store has pioneered ideas like electronic shelf tags, mobile apps, and including the campus ID card office within the store. Providing an excellent experience has been a hallmark of the experience at Tivoli station and we at Flamingo are proud to be a part of that. Want to learn more? Interested in keeping in touch? Send us a note. We'll be happy to keep you in-the-know about what we're up to or to reach out. Let us know what you're thinking or how we can help you. Thank you for reaching out. One of our team members will respond shortly.